Driving requires your full concentration. You need to be able to see clearly what’s coming up, while also processing threats from the side, and scanning your mirrors. It is important to have good visual acuity, so you can see sharply in the distance, and good visual fields, a phrase describing your ‘all round’ or peripheral vision. If you have concerns about your sight, or simply haven’t had an eye test in the last two years, visit your local optician. An eye test can help you drive more safely, protecting both yourself and others. You must also have an adequate field of vision – your optician can explain about this and do a test to check your field of vision. According to the DVLA, “You must wear glasses or contact lenses every time you drive if you need them to meet the ‘standards of vision for driving’”. Ask your optician if you are unsure whether you need your specs to help you meet the standard. Once you reach the age of 70 you must reapply for your driving license, and do this every three years. You can do this online at https://www.gov.uk/renew-driving-licence-at-70. You’ll be asked if you meet the standards for vision. If you are unsure, or have not had an eye test in the last couple of years, ask your local optician to make you an appointment. This doesn’t include being short or long sighted or colour blind. You also don’t need to say if you’ve had surgery to correct short sightedness and can meet the eyesight standards. Check if you need to tell DVLA about your eyesight problem by searching the A to Z of medical conditions that could affect your driving. If night driving is becoming difficult, the first thing to do is to book an eye test. As we get older many people develop cataract and this can contribute to glare at night. An eye test can help rule out if this is a problem. If your eye health is fine, speak to a registered dispensing optician for advice on the best lenses to help combat glare. Beware of just buying tinted glasses off the shelf. If you already wear, or need, prescription glasses make sure you ask your optician about anti-reflection coatings. There are different lenses and filters that can improve your driving experience. Polarised lenses will help reduce glare reflected a wet road. Tints aren’t recommended for night driving, but some people find a yellow tint is good for enhanced contrast during the daytime. Brown or grey tints don’t affect your colour perception which makes then a good choice. If you pick lenses with the darkest part of the tint at the top and less intensity at the bottom it is easier to see the instrument panel inside the car. Read more about driving and your eyes. Talk to the Registered Dispensing Optician in your local optical practice as they are trained and educated in the latest products and technology to help you improve your driving experience. 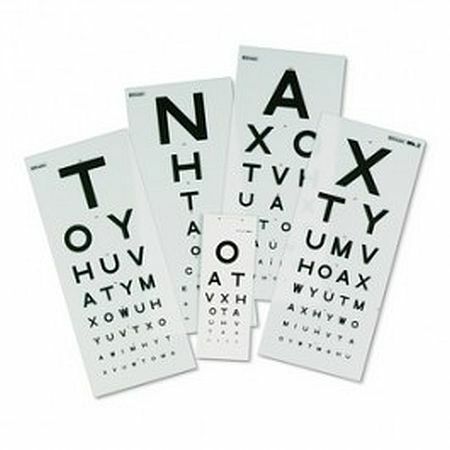 Have you had a recent eye test? The first thing to do is to check that your specs are up to date and your eyes are healthy. Then talk to a dispensing optician about the different types of lenses available. There are some lenses that are specifically designed for driving. If you usually wear varifocals and do a lot of driving, there are varifocals specifically designed for this purpose. Read more about driving and your eyes. Talk to the Registered Dispensing Optician in your local optical practice as they are trained and educated in the latest products and technology to help you improve your driving experience. When wearing spectacles for driving, it is recommended that you ask for an anti-reflection coating to reduce the effects of glare. This is the best solution for driving at night, and is recommended rather than using a tint. Ask your registered dispensing optician for further advice. Read more about driving and your eyes. Talk to the Registered Dispensing Optician in your local optical practice as they are trained and educated in the latest products and technology to help you improve your driving experience.